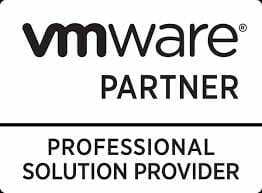 Our experience in Virtualisation Solutions includes both VMWare and Hyper V.
Simply defined. Virtualisation is using a reduced number of physical devices to run a larger number of virtual or logical devices. This is accomplished by using virtualisation software to create a layer between the underlying physical hardware and the virtualised computing resource. The virtualised resources will then share items on the physical host including – memory, CPU’s, network, disk I/O and storage. SERVER : Servers are generally under utilized. A single File and Print server may only ever reach 2-3% utilisation. This leaves the server sitting idle 97% of the time. Through the use of Virtualisation on the physical hardware can support multiple Virtual servers, thereby increasing the servers utilization. STORAGE : Allows for pooling of storage resources from multiple locations. This reduces the amount of lost or orphaned storage space and increase utilisation. NETWORK : Allows for the combining of resources within networks. Network Virtualisation eases the tedious and time consuming management of networks. It allows for optimisation of network speed as well as increase reliability, flexibility,security and flexibility. 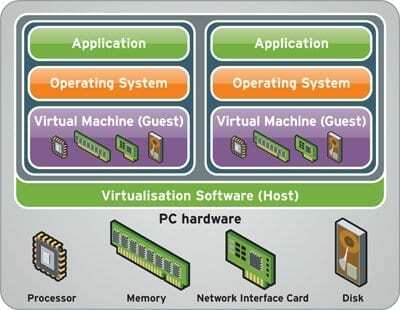 DESKTOP : a workstation is virtualised with all its applications and preferences into a virtual machine (VM). This VM can be accessed from anywahere within the organisation from any workstation loacted in the organisation. Machine and patch maintenace becomes easier and Total Cost of Ownership is reduced. Reduced Rack space through consolidation. Reduced power consumption and cooling costs through consolidation. Take a virtual snapshots prior to making any changes. Having problems – restore back to the snapshot. VM’s can be backed up whilst running. 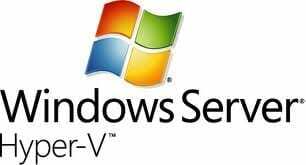 VM’s can be restored easily to another server or location. Physical servers can be setup in High Availability Mode allowing the VM’s to fail over to an alternate machine with no downtime. Faster deployments – Virtual server images can be created and brought up in seconds. Higher performance due to load balancing. Run software requiring older versions of Windows. Providing consulting services in the early stages of your Virtualisation project planning. Guide you through best practises based on our hard earn’t experience. Project Manage your solution from start to finish. Assessing your current technology solution and making recommendations on improvements. We help firms like yours achieve your specific business goals through an analysis of your current and future aged care business needs, assessing your existing technology and developing solutions that will enable you to grow your Aged Care business profitably and reach your goals. Leverage our expertise and reap the benefits of our Virtualisation Solutions for your firm. Increase your productivity and efficiency while reducing costs and mitigating risk. Contact us today to discuss the many benefits our Virtualisation Solutions can provide your business.